Today I’m super excited to show you how to make some of your own personal care products. While you’re whipping up that morning smoothie or healthy dinner, why not add some skin and haircare to the menu? Which is why I reached out to my friend, the lovely Danielle Shine, a Natural Foods Chef and Health Coach who specializes in making DIY beauty recipes. Like many of us, Danielle had a serious wake-up call that lead to changing what she ate and the products she put on her body. Her story is so inspiring and thought-provoking, which is why I want you to meet this wonderful woman. As you probably already know, what you put on your skin is just as important as what you put in your stomach. 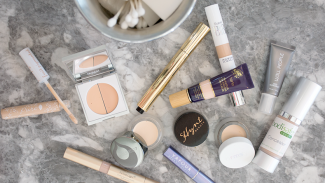 With so many different products on the market, it can be confusing to find the right beauty regimen that works for you. But knowledge is power—so let’s learn how to choose wisely and how to make our own potions from the ever-glowing, Chef Shine…. Kris: You’ve had an incredible journey! How did a near-death experience lead you into natural beauty? Chef Shine: My love of all-things-natural stemmed from pure desperation to heal my body in the cleanest, most natural way possible after spending almost three years feeling sick, tired and wired. My lightbulb moment arrived after I almost died during a routine medical procedure prescribed to figure out what was wrong with my frail, malnourished body. After adjusting my diet and beginning herbal supplementation to support the repair of my hormones, bones and gut garden, something still wasn’t right. Luckily, I began working with a holistic doctor (with a background in skincare). I learned that the contents of my beauty cabinet housed ingredients that were causing toxic pressure on my body—negating all the good stuff I was doing. 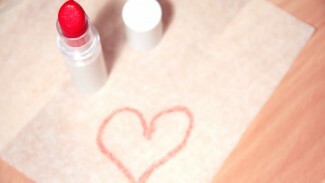 Kris: From everything you’ve learned, what’s your #1 rule of thumb when it comes to beauty products? Chef Shine: I’ve learnt over the years that Mother Nature knows best. When it comes to keeping your insides and outsides in tip-top shape, there’s a great mantra to repeat daily: Keep it simple, sweetheart! Whether you’re feeding your body with food or looking after it with creams, lotions, and potions, your best bet is to stick to real ingredients. This way, you know for certain you’re supporting your body to feel and look its best because don’t forget: your skin is your largest organ. What you put on it is effectively eaten, absorbed and dealt with by your internal organs and immune system. Kris: What are some of the ingredients to look out for? Parabens – used to extend shelf-life of your cosmetics. Look out for ‘butylparaben’, ‘isobutylparaben’, ‘propylparaben’, ‘isopropylparaben’ which may be endocrine disruptors (due to estrogen-mimicking preservatives) and environmental contaminants. Nanoparticles – incredibly common, super tiny particles found in most sprays, powders and sun blocks. Nanoparticles are small enough to penetrate your lungs and enter your bloodstream and may cause all kinds of health problems. Right now, cosmetic companies do not have to list nanoparticles in their list of ingredients. Formaldehyde – found in shampoo, conditioner, other hair products, skin moisturisers and most commonly, in nail polish. Formaldehyde is a carcinogen, irritant and allergen that is best left to its main function: to embalm dead bodies. Siloxanes – often used in skincare to give a smooth, velvety feel. Also used in windshield coatings for cars and anti-scalants for buildings. This ingredient may cause serious hormone issues. Petroleum and petroleum by-products – found in a LOT of skincare, lip glosses, mascaras, etc. The ingredients may interfere with your skin’s natural functions and clog your pores causing acne and in some cases, contact dermatitis. Butylated hydroxyanisole (BHA) and butylated hydroxytoluene (BHT) – these are preservatives and antioxidants that are carcinogenic, still used in cosmetics and some foods. Both may mess with your endocrine system. Diethanolamine (DEA) and Triethanolamine (TEA) – both create that satisfying lather we’ve been conditioned to expect when cleaning our skin and hair. When DEA and TEA come into contact with other chemicals in cosmetics, they can create carcinogenic compounds called ‘nitrosamines’ which have been linked to esophageal, stomach, liver and bladder cancer. As you can see, these ingredients (and many, many more) may actually damage your skin, lower your immunity, and disrupt your brain, reproductive, microbiome and endocrine functions. Some may also cause more serious illnesses, including cancer. Kris: What can we do to support our health and avoid toxins in our beauty products? Chef Shine: Bin the baddies and begin again! In a lot of cases, people with clean diets who still experience internal or external problems often discover the underlying cause of their ill health is hidden in their chemical-laden beauty, skincare, and hygiene products. One glance at the ingredients list on the back of one of these popular, conventional products will display a laundry list of things known to negatively impact our endocrine system and overall immunity. Thankfully, my toxic load lightened up after I began making and using my own natural beauty products—which is why I’m passionate about sharing my natural beauty recipes! Kris: Thank you Chef Shine! I hope you learned a little more about the importance of organic beauty. Now let’s move on to a few of Chef Shine’s favorite DIY beauty recipes—a DIY Shampoo and Makeup Remover. Make this basic recipe to support your glorious locks. Remember: you aren’t adding any (nasty) preservatives, so this shampoo’s shelf life will be much shorter—and that’s a good thing! A few things to note: the ends of your hair (the quickest to become dry, brittle and split) actually don’t need shampoo. They’ll be cleansed enough as you rinse this shampoo from your hair. Also, it’s not necessary for shampoo to create lather to work—there are a LOT of chemicals at play in over-the-counter shampoos to create lather! The dirtier your hair, the less lather there should be when using natural ingredients like the ones below. 1. Combine all ingredients in a blender and blend on medium-high speed for a few seconds. 2. Pour into a BPA-free plastic bottle and shake well before use. Apply a small palm’s-worth size, but you can use more if you like. Use within 1-2 days and store it out of direct sunlight. This luxurious recipe contains shea butter, a nourishing oil for all skin types, vitamins A and E which feed your skin in so many ways, and fatty acids that help restore damaged skin. 1. Combine all ingredients together, whisk and stir vigorously. 2. Pour into a dark glass jar (best for freshness) or small BPA-free plastic container with an air-tight lid. 3. Store in the fridge for freshness. Keep in mind that this oil will become hard in the fridge, and soft out of the fridge – either way, it’s fine. 4. To use, take 1 teaspoon of oil and massage it all over your face and wherever you have makeup applied. Hold a warm, wet facecloth over your face for a few seconds before gently wiping your makeup away from all parts of your face. 5. Follow with your usual skincare routine, however, you should find you don’t need to add more moisturizer afterward, as these oils are deeply nourishing and supportive for your skin. Both of recipes contain real, natural and organic-where-possible ingredients that aren’t hard to find (Amazon and online stores are great resources!). 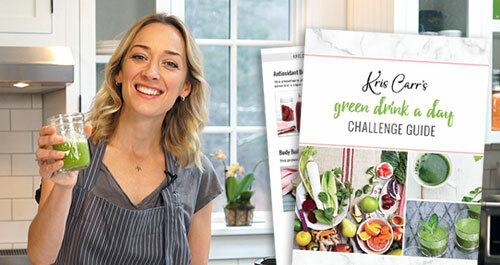 Thanks again to Chef Shine for designing these recipes to feed your beautiful body and help you shine, too! Your turn: Do you have any DIY beauty recipes to share? Or any natural, organic shampoo or makeup remover brands you love? Let us know in the comments below! P.S. Wanna uplift your makeup bag? Now’s your chance! Annmarie Gianni, non-toxic skincare line I adore, is offering a sample kit for only $10. The shipping is free, and you’ll get a coupon for a later purchase. 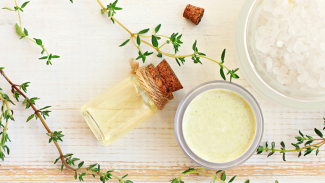 Try these natural, wild-crafted products that will help your skin glow. Get your sample kit here. 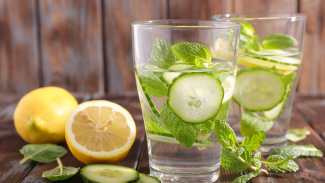 Beauty From the Inside Out: What to Eat for Gorgeous Skin! Thanks for sharing this info and inspiration 🙂 ! Would love to try making my own shampoo from scratch…Have one question – does it lasts only 1-2 days?! It would be a shame to waste all thee amazing ingredients… Is there a way to make it last longer? Except the obvious – keeping in the fridge. Lovely blog post:) I have the same question though. Does it only last 1-2 days? How are we supposed to use 1 cup of shampoo in 2 days? Wouldn’t want to make a new patch every time I was my hair either. I’m interested in finding out a little bit more about natural dyes for a blonde hair. I have a diy facial oil. Mix 1/4 oz. each of jojoba, vitamin e, frankincense,pomegranate, and lavender oil. Put into a bottle with a dropper. I put this on in the morning and evening. I make a face cleanser for my daughter who is prone to acne. 12 oz. witch hazel mixed with 15 drops each of geranium, tea tree and frankenscence oils. Pour into a (glass) container with disposable wipes (bought on amazon). As a kid we used Arappu and shikakai, to wash our hair. (In India) Arappu powder is ground leaves and shikakai powder is from a seed. They can be used separately or mixed together. Just mix required amount with water and scrub. As always read the labels for added ingredients. Pretty awesome. Thank you for sharing. My hair does not like coconut products. Do you have a recipe for shampoo that does not contain coconut. My hair gets very dry. Thank you for sharing this, I love this post! I think it’s important to get the word out about the dangerous chemicals that are in many of our personal care and beauty products and how they are absorbed into our bodies. I have been on a mission to spread the word about this as well. Thanks for the share. I want to share something for the curly haired girls like me or just those looking for a natural gel…irish moss. I used it as a gel for the first time a couple days ago. It’s light and none-greasy and actually had some hold to it. I saw recipes about adding extra oils to it but I used it plain and it worked for me. I used the actually moss, not the powder. I soaked it well (for about 5 days, as I traveling) and I do own a vitamix so I was able to blend it really smooth. Emilia Aguirre’s pure Macadamia oil. It’s great to see the new recipes. Thank you, Kris, for offering some low cost solutions for natural body products. I make it with lavender essential oil or with no extra scents. In summer, I add extra beeswax an reduce the coconut oil by a tablespoon or two so that it doesn’t get too soft. But it works great for 24+ hours, unlike the natural deodorants from the store that stop working by lunchtime. What a timely recipe! I just started making my own shampoo (actually it’s nearly exactly the one posted, minus the herbal decoction) and doing a Horsetail/comfrey rinse after the shampoo. I do have a question, though. I have read that the pH of the scalp is about 5, and long term use of alkaline ingredients like castille soap can damage the scalp by upsetting the acid mantle. Does the coconut bring the pH down to a suitable range for hair? Is this recipe good for long term use? P.S. My favorite night moisturizer is calendula oil with a few drops of carrot seed essential oil. My favorite daytime moisturizer is evening primrose oil with 5-10 drops each of immortelle, lavender and blue chamomile. And I alternate using raw honey to cleanse with a combination of French green clay, water, Clary sage, tea tree oil and orris root powder. Shea butter makes amazing hand and foot cream. And lastly, castor oil on your eyelashes makes them thick and glossy! Great question, thanks for asking! With this in mind, it’s important to note our hair and scalp oil (‘sebum’) typically have a pH value of 4.5 – 5.5, classified as acidic—which is completely favorable. An acidic environment on the scalp means no unwanted fungi surviving and thriving on our head! In terms of facts and figures relating to my ‘No Poo Shampoo’: liquid castille soap has a pH around 8-8.9 (alkaline) whilst coconut cream has a pH of 5.51-5.87 (acidic). I created it this way to ensure a balance of pH while allowing for some ‘wiggle room’ relating to you and your individual needs dependant upon your individual hair-health needs. The best advice I can give you is to play with this shampoo – try it out ‘as is’ and see how it works and feels for you. One of the great things about natural skincare and haircare is that you can absolutely play with these recipes safely! With my shampoo recipe, you have a choice of what type of essential oil/s and herbal tea/s to add into the mix. If you want to create a more acidic environment, add a little more coconut cream whilst subtracting some of the liquid castille soap – the choice is yours! Remember, no one is more qualified to advise you about what’s best for you than YOU! Thanks for the great article Kris! I just wanted to add that for the past 3 years, I’ve been using Norwex Make Up Removal Cloths. They remove makeup, eyeliner and even mascara without soap or cleansers. Just moisten one of the suede cloths with warm water and gently wipe your face upwards and outwards. They work on all skin types, including irritated, mature, oily or sensitive skin. I haven’t used a single make up remover or cotton ball product since I started using these and I’ll never use anything else! Great reference guide and it is valuable information as far as health is concerned. I’m sure you have covered this, but what about clothing detergent that is safe. I usually look for the least expensive, but I know that is not always best. Oh, and I love the homemade shampoo! Wonderful! What a timely recipe! Nice list, thanks for sharing! Again, her soaps are made from natural oils and contain no detergents or ANY type of harmful chemicals. I can’t recommend them highly enough. Her prices are very reasonable and the soaps last a long time if you keep them out of water (need a draining soap dish). Enjoy! Will this work for oily hair? This is great information and thank you for the recipes. Hi Kris – thanks for this inspiring post. Would it be possible to add an essential oil that acts as a natural preservative in the shampoo? I’m thinking of lavender essential oil that has been found to naturally prevent bacteria growth, but there are certainly other options. What do you think? thanks again for these ideas! Starting on Monday, November 13th, I’ll be leading a 5-day #greendrinkaday challenge to set us up for success this holiday season! I’ve got you covered with recipes, a planner and daily guidance. Sign up now!